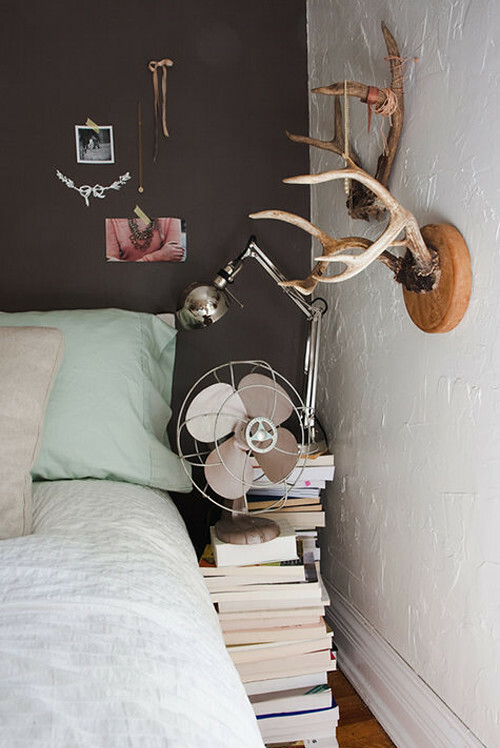 Lately I have been seeing a lot of antlers and horns as wall decoration. I am not sure what to think of it but they do look good in these interiors above and below. 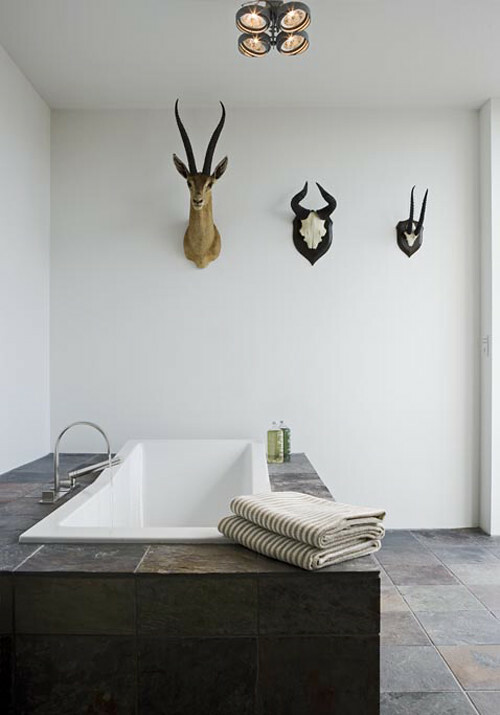 It is a bit unusual to find antlers and a deer in a bathroom but somehow they fit and look good in this space. 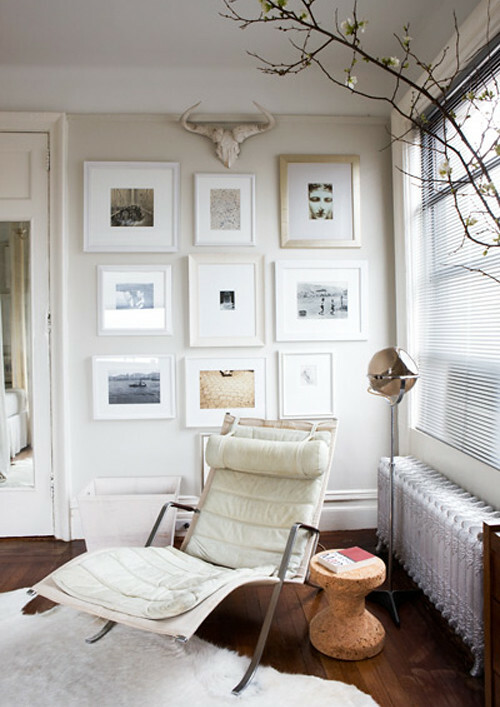 I don’t know the source of the top picture, the second photo (above) I found on Emma Designblogg. A collection of beautiful things. 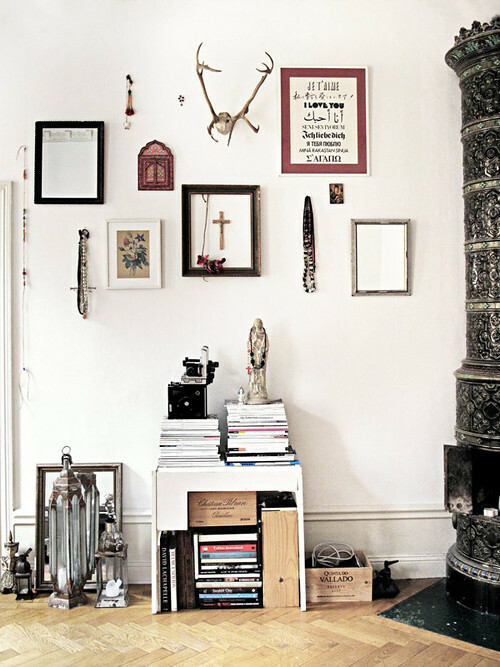 I found this photo on Emmas Designblogg as well but I have no further information about the photographer. This picture (above) is from photographer Melanie Acevedo’s portfolio. 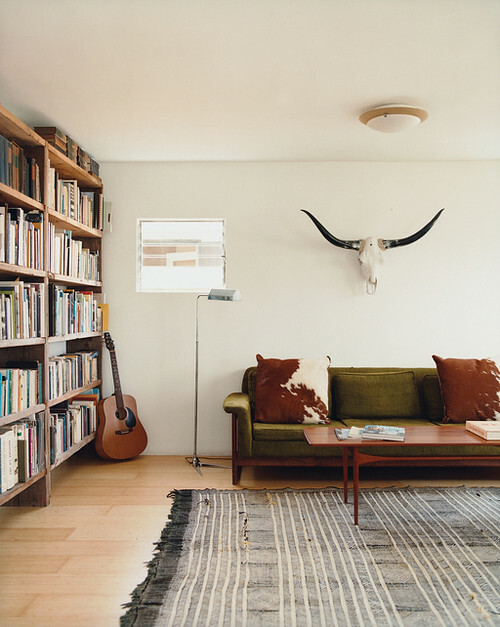 The photo above shows the bedroom of Nikole Grace, her house was recently featured on Design*Sponge. I’m not that keen on mounted animal heads – way too spooky for me. I suppose antlers, horns and other bones objects aren’t so bad if displayed tastefully, but still you got to ask yourself the question… why at all? Nah, just not me I’m afraid. I’m with Janine, why? However for points on context, I think the first image wins. At least those horns fit into the other decor.